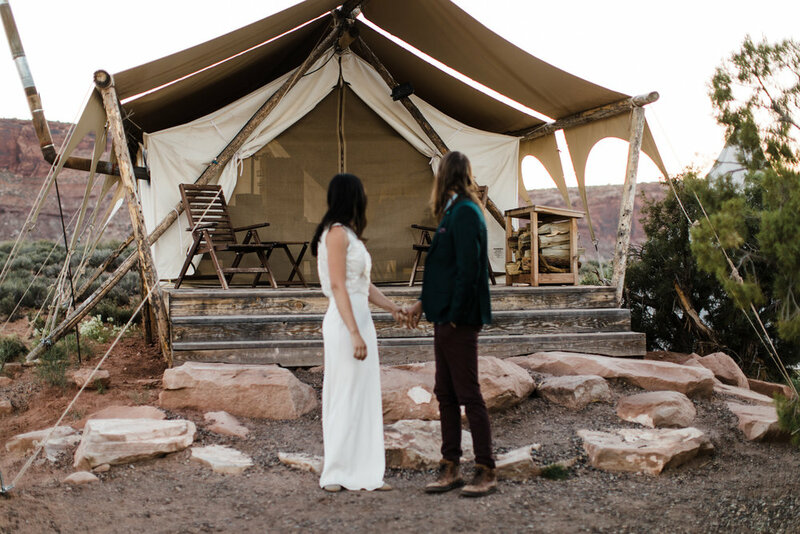 When we lived in Moab for two months months last fall, we used to drive by Under Canvas Moab every day on our way out to the campsite and I was always intrigued by the safari-style, classic canvas tents they had set up. I'm a huge fan of quirky, old-school camping style and I figured these were just like that! 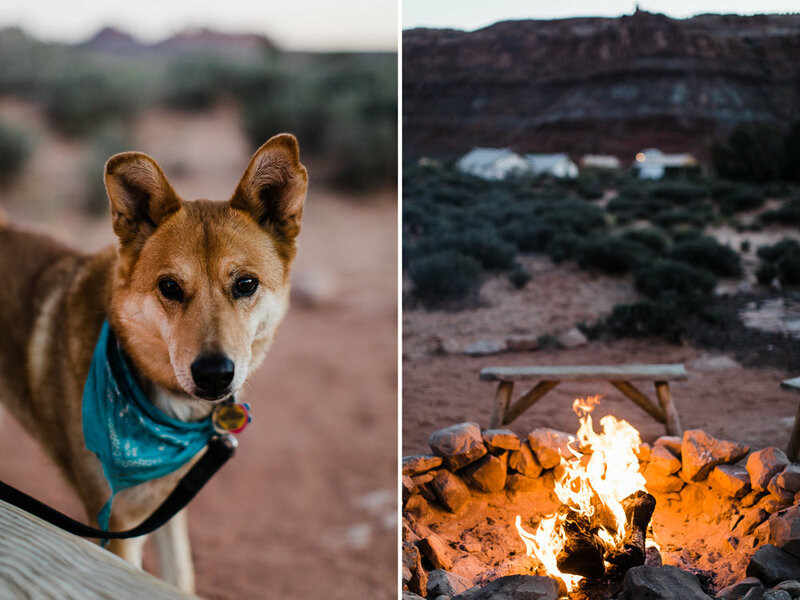 We finally got a chance to check them out in Moab a few weeks ago and I must say, while they look like Wes Anderson designed the outside, the insides are nothing short of luxurious complete with a fully-functional restroom, leather sofa and a wood burning stove! 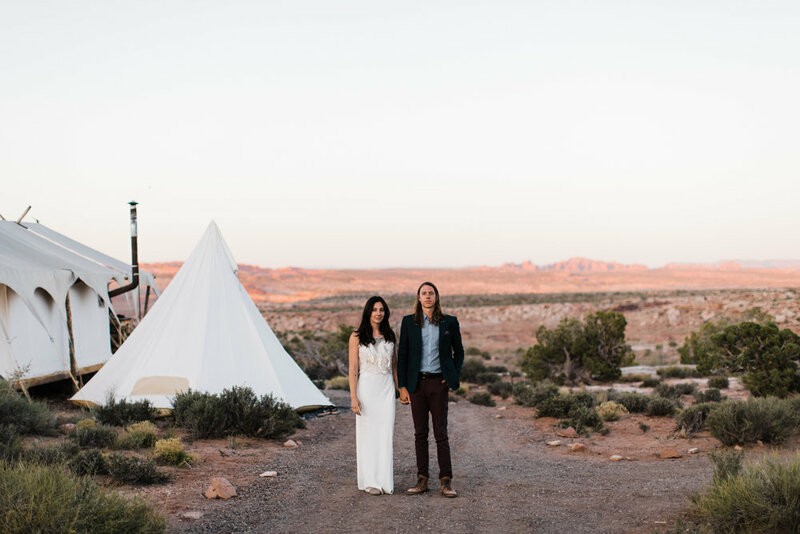 Think Moonrise Kingdom meets mid-century modern and you've got Under Canvas Moab. 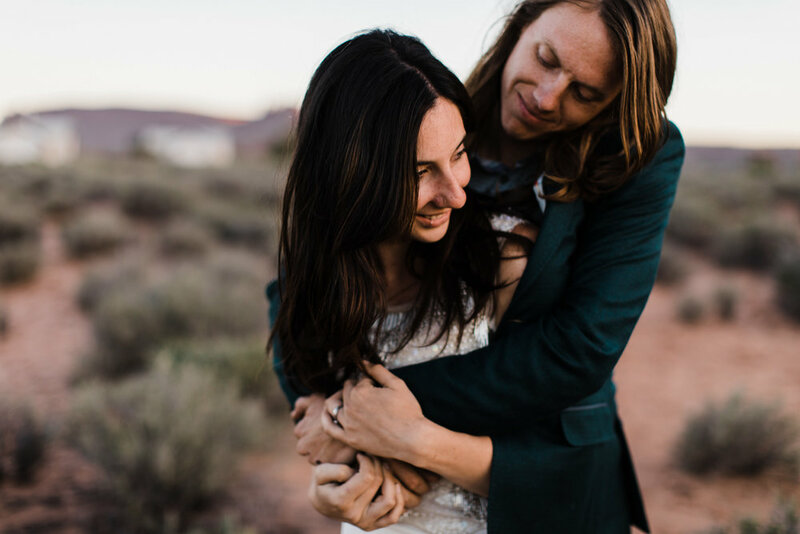 I got in touch with them because I knew they did weddings and I am pretty much in love with the idea of shooting a desert wedding there! I proposed the idea of a little inspiration shoot, where I'd take some photos in a tent and some around the gorgeous property and they were psyched! Now all I needed was a couple. Enter Gabi and Brandon. 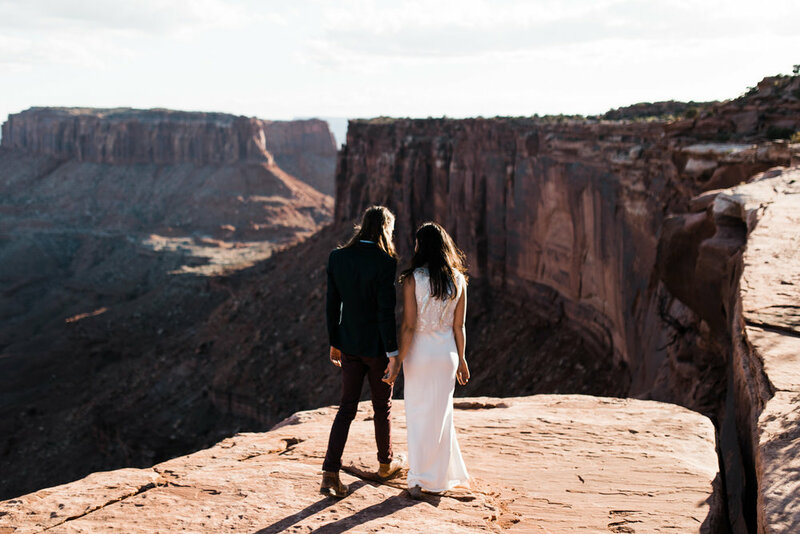 I don't remember how we found each other, but I was following them on instagram as fellow climbers/road lifers (they live in an epic airstream) and noticed they did a selfie session in White Sands with their wedding clothes. We got to talking and I learned that it had rained on their wedding day and they didn't get any great photos of the two of them, so they decided they'd just take their own on the road! 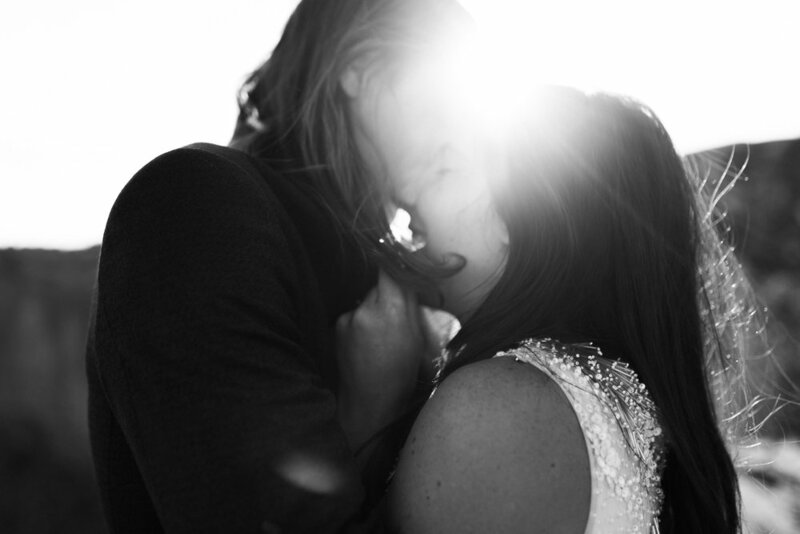 Well, as fate would have it, I needed a couple and they needed some photos, so it all worked out perfectly! We met up with them the night before our shoot for burgers and beer at the Moab brewery and instantly clicked. 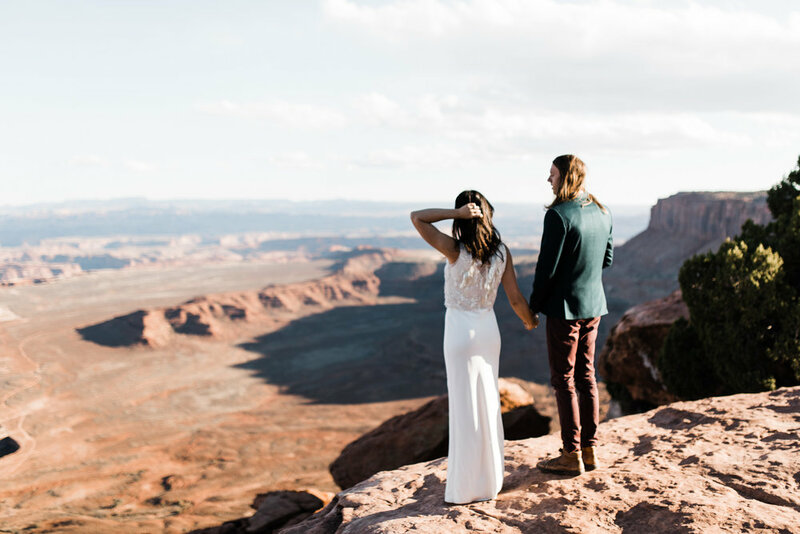 They are fellow adventure wedding photographers, so it was really fun to talk about everything from running a photography business to the challenges of life on the road.